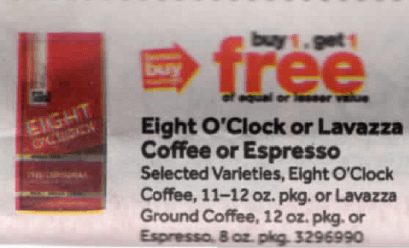 Starting 11/09 Stop & Shop has Eight O’Clock Coffee on sale for Buy One Get One FREE. Our local store carries the Coffee at $6.19 per bag. 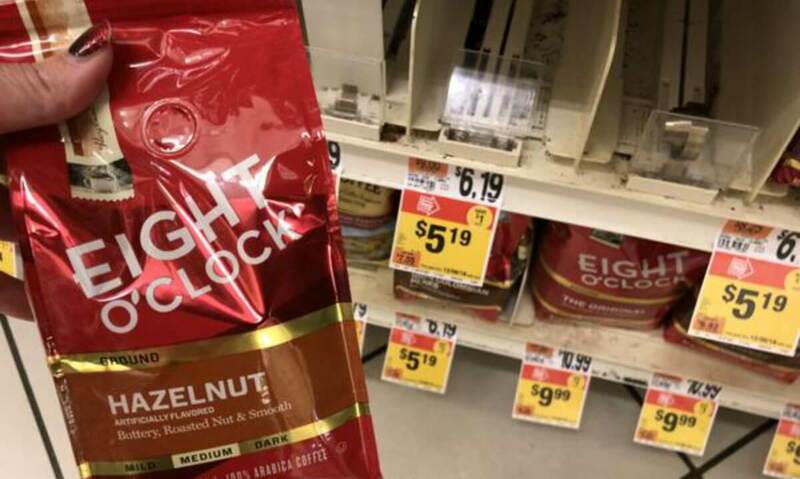 We have a $1/1 Eight OClock Coffee, 10oz or larger printable coupon available. 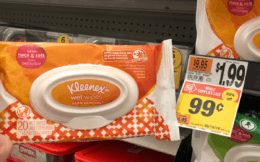 Pick up 2 bags, use 2 coupons and pay a total of $4.19. That’s only about $2.10 per bag. Great Deal! 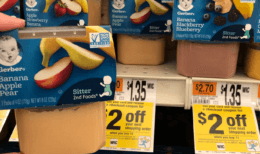 Note: as with all deals please check your local ad/shelf price for participation!